I had no sooner arrived at my friend’s house east of Colorado Springs, CO, and had just taken my camera out of the car, when I heard a scolding noise coming from above. I looked up and saw this female Northern Harrier being scolded by a Western King Bird. 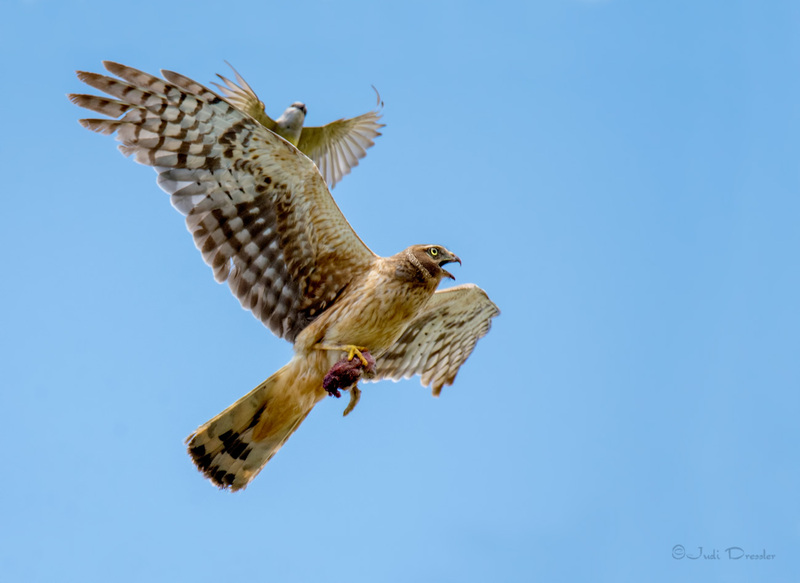 The reason was clear — the harrier had stolen one of the kingbird’s chicks and was making off with it. Poor kingbird — at least she managed to harass the harrier a whole lot.